PAGE. See Brownell Page & Co. Page, Irving C., photographist, Cortlandville, NY (1880) See census. 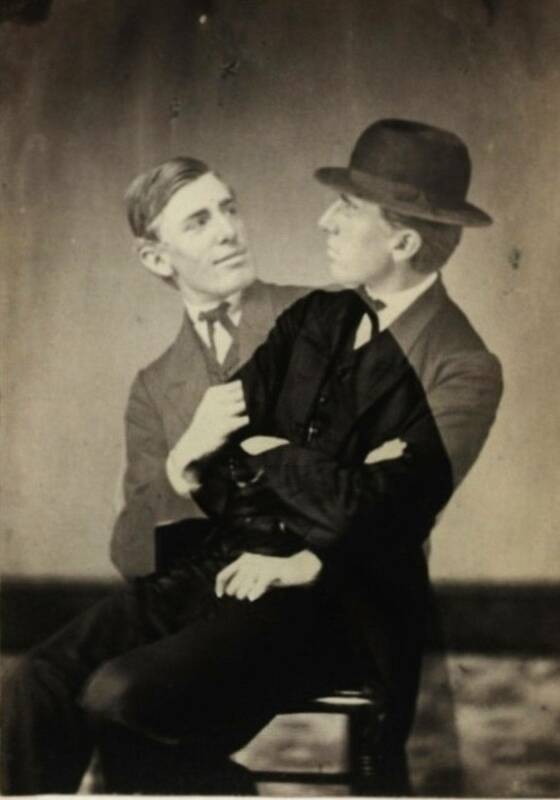 Irving C. Page born abt 1855 in NY, lodger along with Henry A. Collins, photographer at boarding house. Park Studio, photographer, 875 Cambridge St., Cambridge, MA (1920s) cabinet photo in folder dated "c. 1920s"
Parker, Chas., photographer, 695 Broad, Newark, NJ (1885) Holbrook's Newark City and Business Directory. See Parker & Co.
Parker, Erastus A., photographer, Blount St., Kinston, NC (1900) See census. Erastus A. Parker born abt 1857 in NC, marr abt 1887 Martha L., chn: Richard b 1886 NC, Lily b 1888 NC, Gretchen b 1893 NC. Boarding with them is: Callie Edwards, photographer, b May 1877 NC; Erastus A. Parker, photographer, h 312 e Blount, Kinston, NC (1908-1909) Hill's Kinston, NC Directory; Erastus Parker, photography, own gallery, 312 Blount St., Kinston, NC (1910) See census. Erastus Parker born abt 1852 in NC, marr abt 1885 Martha L., chn Richard A. b 1887 NC, Bertha L. b 1889 NC, Grechen F. b 1894 NC. Parker, John T., photographer, Fort Scott, Bourbon Co., KS (1865) KS State Census. John T. Parker is 35 and Single. In hh Jane Parker 18, Ellen Parker 16, Virginia F. Parker 12 , all born IL. Parker, Thomas L., photographer, 9 Monument Square, h same, see adv. Page 41, Cleveland, OH (1864); Thomas L. Parker, (Nason & P.), h 9 Public square, Cleveland, OH (1869); Nason & Parker, photographers, James H. Nason & Thomas L. Parker, 9 Public square, Cleveland, OH (1869); T. L. Parker, photographer, s 253 Superior, brds 50 Seneca, Cleveland, OH (1870); T. L. Parker, photographer, 257 Weller Place, Cleveland, OH (1880) See census; T. L. Parker, photographer, 208 Ontario, res 63 Eagle, Cleveland, OH (1882); T. L. Parker, photographer, 208 Ontario and 5 Euclid Ave., Cleveland, OH (1884) City Directory; Thomas L. Parker, photographer, 249 Superior, Cleveland, OH (1891) The Cleveland Directory. 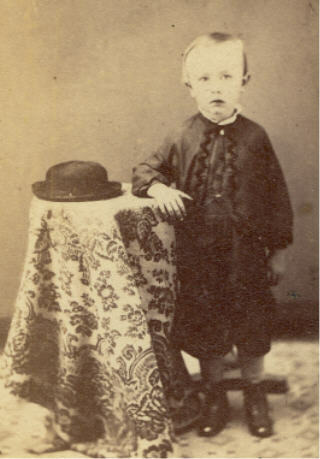 Thomas L. Parker, photographer, born abt Nov 1837 in MA and died 3 Oct 1921 in Sandusky Co., OH. He married 16 May 1870 in Cuyahoga Co, OH to Cynthia Reynolds. 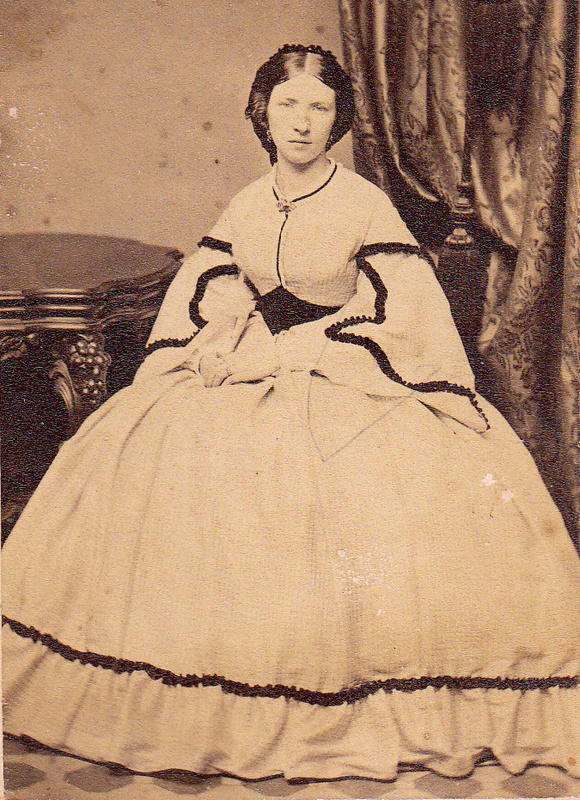 They had a daughter Effie born about 1872-1873. George F. Parlow, photographic artist, 5 Purchase, New Bedford, MA (1870) Dudley & Co.'s The Bristol County Directory and History; George F. Parlow, photographist, New Bedford, MA (1872) The Massachusetts Register; Geo. F. Parlow, photographer, 5 Purchase (see advt. page 32 front),New Bedford, MA (1879-1880) Greenough's New Bedford MA City Directory; Geo. F.
PARTRIDGE, E. J. & W. H.
Peabbles, W. W., photographer, Livermore Falls, ME (1864-1866) cdv with tax stamp, of 1850s dag. From a web search: W. W. Peabbles, active as a daguerrean and ambrotypist in Livermore Falls, Maine. He was listed in 1860 as an ambrotypist. Pearson, Emma J. Mrs., photographer, 64 Spring, brds 463 Clinton av S, Rochester, NY (1912) Branton Business DirectoryProgressive Places of Rochester, NY; Emma J. Pearson Mrs., photographer, 64 Spring, brds 463 Clinton av S, Rochester, NY (1913) Drew Allis' The Rochester Directory. See August Buckhecker. Emma Pearson, 457 Clinton Avenue S, Rochester, NY (1920) See census. Emma Pearson born abt 1871 in NY, marr Thomas H. Pearson. Pedlar, Herbert L., photographer, 579 Grand, Brooklyn, NY (1902) City Directory; Herbert L.
Perel, David [Anna], photographer 26 W Federal, r 668 Erie, Youngstown, OH (1912) City Directory; David Perel, photographer, 26 W Federal, Youngstown, OH (1912) Burch's Youngstown City Directory; David Perel (Anna), photographer 26 W Federal, res 626 Alice, Youngstown, OH (1913) Burch's Youngstown City Directory. Note: In 1910, a David Perel, photographer married in New York City and then appears in Youngstown, OH records beginning in 1912. It is not possible at this time to determine if they are the same man. Perkinson, Ernest W., photographer, 2308 Third Ave., h 155 E 125th St., New York, NY (1888) City Directory; Ernest Perkinson, photographer, New York, NY (1900) See census. Ernest Perkinson born abt 1869 VA marr Ada, dau Edith b 1900.